The European Commission organises, in partnership with Cedefop, the launching conference of two new European tools: the European Quality Assurance Reference Framework (EQARF) and the European Credit System for Vocational Education and Training (ECVET). 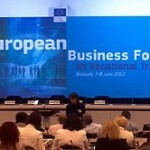 The conference will take place in Brussels on 17 and 18 November 2009. The long-awaited recommendations of the European Parliament and of the Council on EQARF and ECVET, adopted on 18 June 2009  are a major step forward in the renewed Lisbon Strategy and the Copenhagen Process for vocational education and training. They provide solutions to several related issues – among others, the mobility of learners in Europe, quality in VET provision and management, and helping learners create their own pathways to qualification. To translate these recommendations to reality, all stakeholders need to be closely involved. This is the aim of the launching conference: to bring together all stakeholders, explain what is at stake, show what has been achieved so far, and invite them to help shape the process with their own actions and ideas. 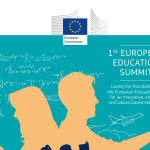 The conference will focus on examining the most efficient ways – both for learners and for the European economy – to closely involve all stakeholders in implementing these new tools and to ensure all measures in this field operate in tandem. ECVET and EQARF are the latest tools to be launched within the policy context of the open method of coordination used within the Copenhagen Process in the field of VET, following successful initiatives such as Europass and the European Qualifications Framework for Lifelong Learning (EQF). ECVET is intended to make it easier for individuals to transfer and accumulate learning outcomes from one qualification system to another, from one training system to another or from one learning pathway to another, inside a country or between countries. It will help make learning and qualification systems more open to each other (permeability) and increase compatibility between general and vocational education and training (VET) systems. This will allow individuals to build their own learning pathways to qualifications. EQARF is designed to help Member States promote and monitor quality improvement in VET. It provides a common basis for quality principles, reference criteria and indicators. Member States are invited to designate a Quality Assurance National Reference Point and to participate in the European Quality Assurance Reference Framework network.